The Sorcerer is an exceptional grey alpaca. 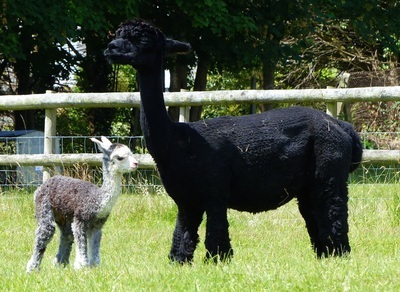 The winner of 14 broad ribbons to date, including Champion Grey Male at the 2014 National, 2014 Showtime and 2014 Heart of England Alpaca Fiesta, under both National and International Judges, and is undoubtably one of the best greys in the UK. A well balanced male he has the presence and substance of bone required of a macho. 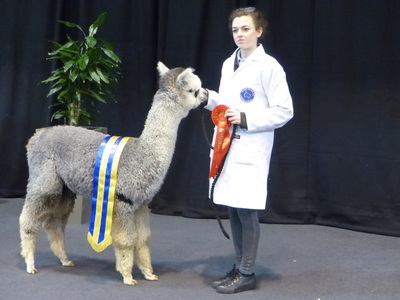 He exhibits a fabulous uniform, highly organised, and extremely dense fleece, with a high frequency crimp style, which extends into the neck, legs and belly. It has excellent brightness and is holding its fineness with a super soft handle and a long staple length. He is the result of many years selective breeding for quality greys on our farm and subsequently has numerous greys in his pedigree. His sire is our highly respected Meon Valley Ardingly, who did so well in the show ring, only being beaten by Alpaca Stud's Nyetimber. 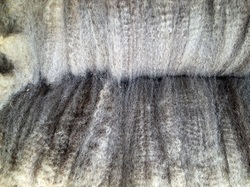 His dam Sabrina, a dark rose grey, has a superbly dense and well organised fleece. 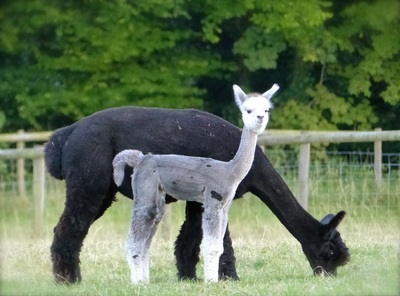 The Sorcerer is producing predominently grey cria, from both grey and other coloured females. They are strong and vigorous, with great conformation and improved fleece characteristics over their dams. 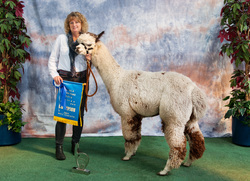 Many have gone on to be placed and win at the National shows, including Championships. One of them being 3 times grey Champion Meon Valley Mystique.